Well I rang a woman, well to be precise she rang me after I sent her a text wanting to discuss the state of things where I worked. Quite frankly I was stunned at her attitude, considerate, personable and generally chatty. Not quite what I had been led to believe, I was expecting... to be honest, I didn't know what I was expecting. She could have told me to sod off, or even worse ignored me. The woman was Jennie Formby, Unite National Officer for food, drink & tobacco. "She's been on the telly" I thought, and she's pleased to talk to me, that hasn't happened since I rang my mum! Considering she was about to get on a plane and was involved with important stuff I was made to feel like I mattered. My concerns were her concerns, then I was advised to talk to my regional officer Rick Coyle who would get things moving. That's where it was all going to come crashing down surely, some platitudes and faux concern were coming my way. How wrong I was, a feeling I'm comfortable with because I'm married, he was of the same mind as Jennie. The next thing knew I had been issued with emergency powers before holding a full election and we were "organising", I don't mean planning a birthday party for the wife, organising for solidarity. 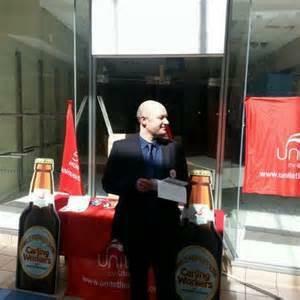 We were a couple of weeks away from Unilever's first strike action with no shop stewards on site... now I was it. So when people talk about pressure, try becoming acting senior steward, with a disparate membership in need of facts not fiction and the bitter stench of mutiny still in the air. Never held office before, now all eyes are on me. So what was I to do, what could I get away with, would people take me seriously? One, way to find out I suppose, just get on with it, one day at a time, dodge the flack, soak up the advice, try to sound like I know what I'm talking about. Rick, my handler, he wasn't what I was expecting, we met in a pub at short notice to inform the membership of the facts. The guy I had been talking to for the last couple of days was here in front of me. We hit it off instantly, best blind date either of us had been on. The promise of support had been fulfilled from national officer down, sound like a fairy tale, but its how it happened. Before we knew it we were standing outside the gate for over 13 hours with over half the membership, and media crawling all over the place. We had representatives from the local constabulary visit us, nice chaps, concerned about our well-being and full of advice on how to stave off the cold. I wasn't that worried about the cold, I was wearing a lovely warm thermal suit, some say it was cheating, I say it was forward planning. Having said that, I could possibly have taken note of which zip allowed instant access to the appropriate area when I needed the toilet. Boredom was never far away, but I had a cunning plan to keep it at bay until the sun came out. What would you do with a big lotto win? Say 10 million or so, the silence was almost too much to bear, ok, I'll start you off, I filled the air with images of exotic cars, houses by race tracks and toys... remind me never to play that one again with people of a left wing persuasion. Going with the "property is theft" ethos for a moment, how does a big fat lotto win sit then? It took a lot more than some stirring emails and a couple of posters to open people's eyes and show them they're not alone. I knew it would be difficult winning people's trust and enlightening them, even though I had worked side by side with these people it was going to be a challenge. Trying to convince people to fight for what's right can be difficult, trying to show people what is right is tricky, especially if money is at stake. Especially that they wont see for several years to come, pension are funny things, they don't really matter until you need them to pay out, for many its too late by the time they realise its not enough to live off. Are you offended by any of these questions?